India is set to host Afghanistan and Ireland for a full-fledged tour which will be played at Rajiv Gandhi International Cricket Stadium, Dehradun, Uttarakhand. The opening game of this tour will see both the sides locking horns in the T20 format. 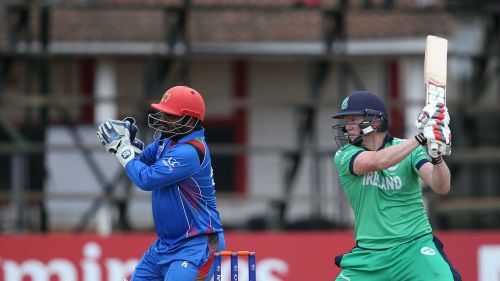 Afghanistan have adapted well to the subcontinent conditions, while Ireland would be hoping to acclimatize quickly and outplay their opponents. The Afghans will be facing the Irish side for the 13th time in a T20I match. Ireland have always struggled against Afghanistan, having lost nine out of the 12 matches. Their last win over Afghanistan came way back in 2013 at Abu Dhabi. Ireland would be hoping to break the jinx when they take on the Asian side. They need to emerge victorious in the opening match to make the series interesting. Afghanistan, meanwhile, have played some fabulous cricket in the past few years. They have carved out a special place for themselves in the international arena, and are riding high on confidence right now. Their youngsters are supremely talented and have represented various franchises in the domestic T20 leagues around the world. Afghanistan would be eyeing to maintain their dream run against the Irish side in this series. - Mohammad Shahzad has been ruled out of the T20I squad and Shafiqullah Shafiq will replace him behind the wickets. - Paul Stirling will lead the side as Irish skipper Gary Wilson is still recovering from his vision problems. Stuart Poynter, Paul Stirling, Andrew Balbirnie, James Shannon, Stuart Thompson, Kevin O’Brien, Simi Singh, Harry Tector, A McBrine, George Dockrell, Peter Chase. S Shafiq, Najibullah Zadran, Hazratullah Zazai, Asghar Afghan, Usman Ghani, Mohammad Nabi, Karim Janat, S Shenwari, Rashid Khan, Mujeeb-ur-Rahman, S Ashraf/F Malik.